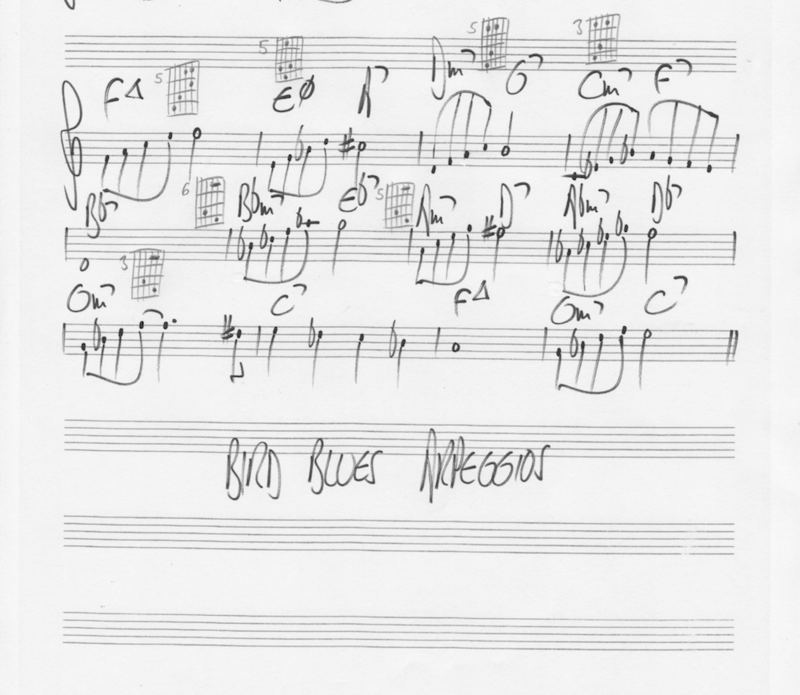 We are continuing our series on “Blues For Alice” with an arpeggio study. All of the arpeggios played here are ascending. Note that we are not playing all of the arpeggios in this particular study: since there are so many ii-Vs in sequences, I chose to only play the 3rd of most Dominant 7 chords. I wrote some diagrams above the music notation to indicate optional fingerings for some of the lines. This study should give you some ideas for creating your own lines while improvising. 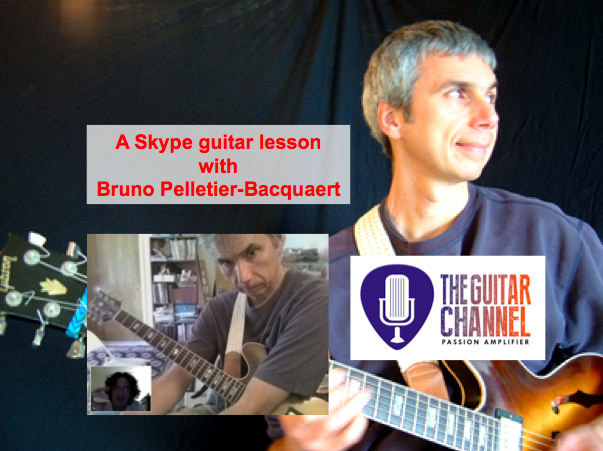 Think of those arpeggios as starting points for melodic phrases.